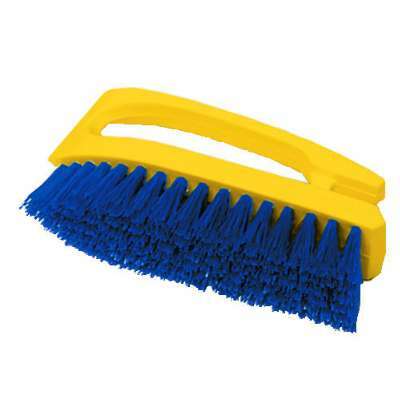 Hand scrub with molded handle eases the work of scrubbing tile floors, baseboards, countertops and walls. 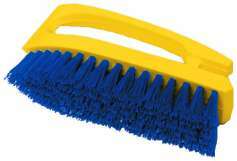 Long-lasting blue polypropylene fill resists stains. Durable yellow plastic block. 6-in. overall length.